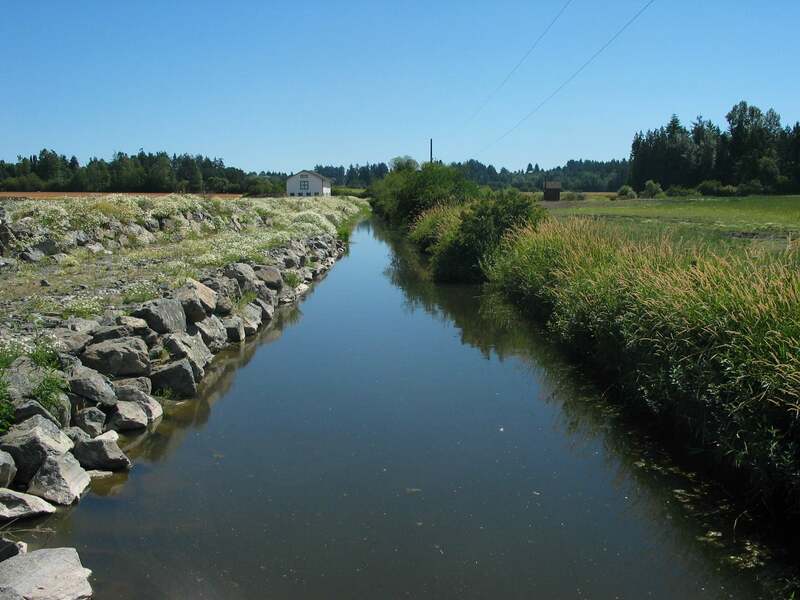 Hagan Creek is sampled downstream from West Saanich Road. The above photograph shows where the creek is channeled a short distance upstream. The absence of vegetation along the channel is responsible for the high water temperatures in summer. Efforts are underway to correct this problem. 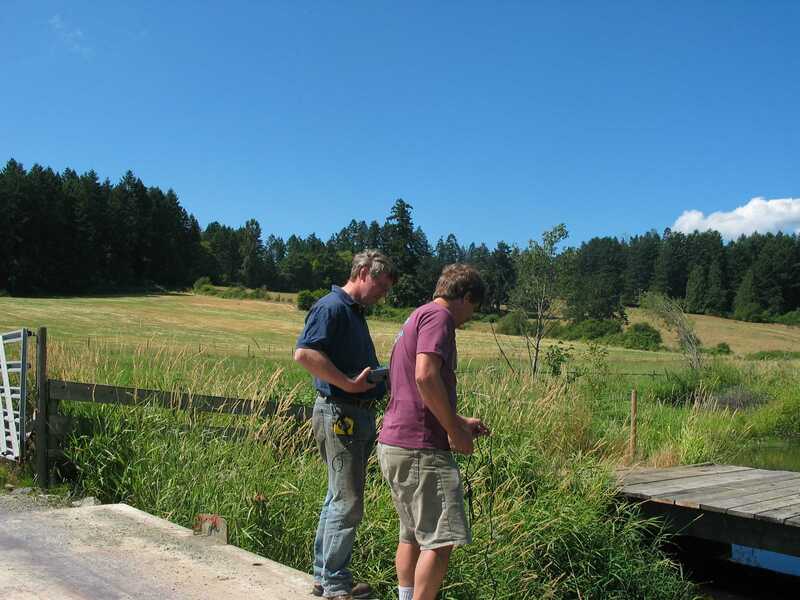 Below we see some water sampling being conducted by Ian Bruce of Peninsula Streams and a local farmer.